Receptions were held in Luxembourg on June 28 (Luxembourg time) and in Belgium's capital city Brussels on June 29 (Brussels time), while a business seminar followed by a gala dinner was held in Rotterdam in the Netherlands on June 30 (Rotterdam time), to celebrate the 20th anniversary of Hong Kong's return to the motherland and the 20th anniversary of the establishment of the Hong Kong Special Administrative Region (HKSAR). 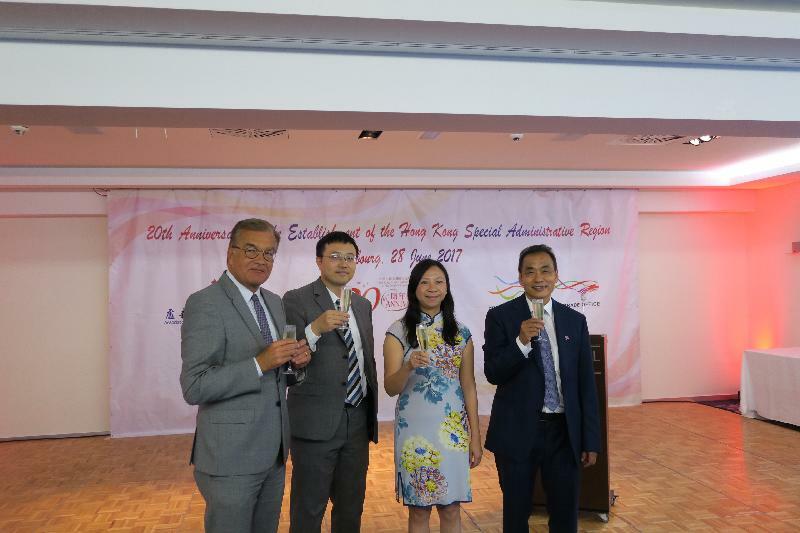 The Special Representative for Hong Kong Economic and Trade Affairs to the European Union, Ms Shirley Lam, made remarks at celebration events organised in three European cities by the Hong Kong Economic and Trade Office in Brussels (HKETO, Brussels). 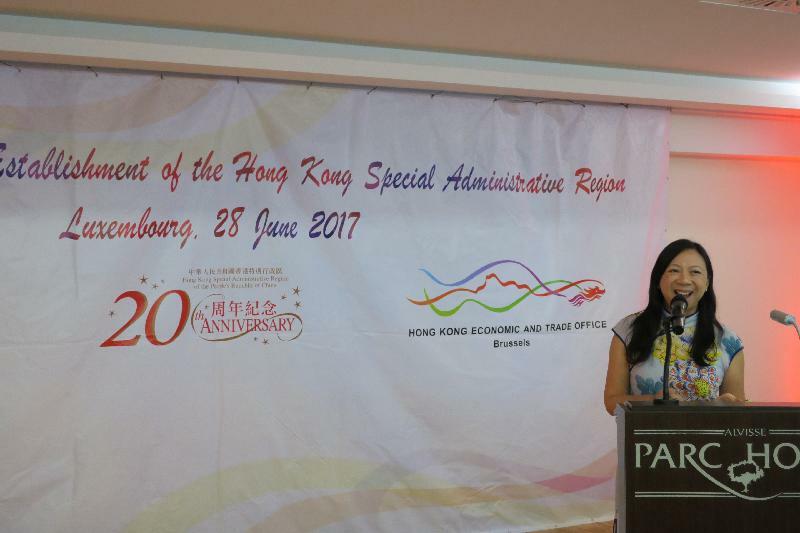 Ms Lam said Hong Kong has much to celebrate, over the past 20 years, Hong Kong has benefited greatly from its strong link to China, the world’s fastest growing economy. "Our vibrant city has continued to prosper, full of dynamism, opportunities, talent and creativity. It has grown in importance in the international arena under the combined advantages of 'one country' and 'two systems'," Ms Lam said. "For many years, Hong Kong has been one of the most important financial centres in the world and it has been acting as the 'super-connector' between Mainland China and the rest of the world," she added. 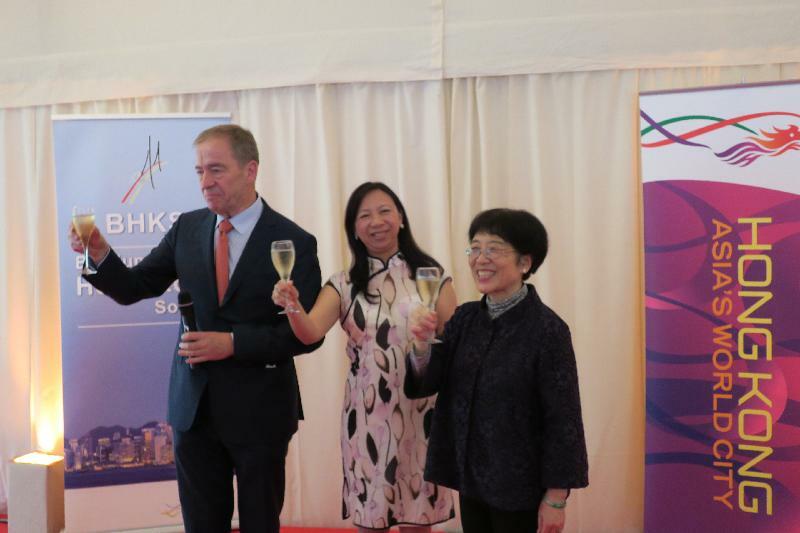 The reception in Luxembourg, attended by local officials, businessmen and Hong Kong community members in Luxembourg, was co-organised by HKETO, Brussels and Association of Cantonese people in Luxembourg. 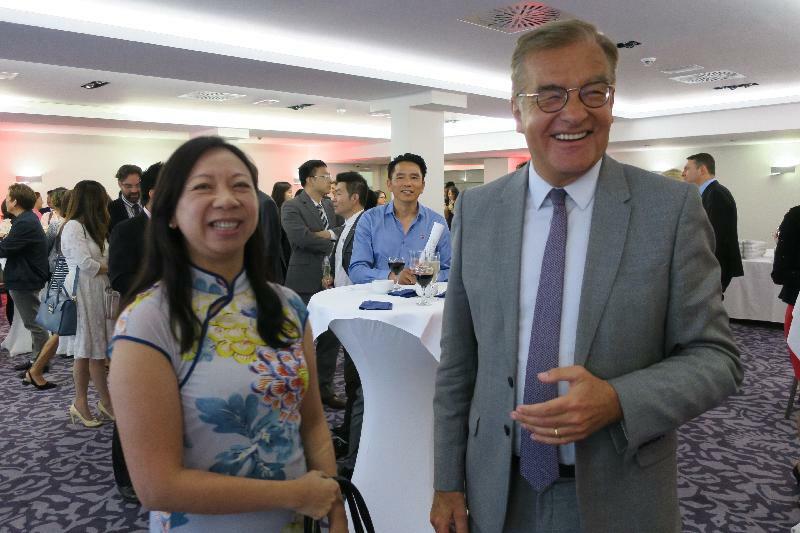 The Guest of Honour, the Vice President of the Chamber of Deputies, Luxembourg's Parliament, Mr Laurent Mosar, also addressed the gathering, congratulating the HKSAR on its 20th anniversary and conveying his best wishes for the future. 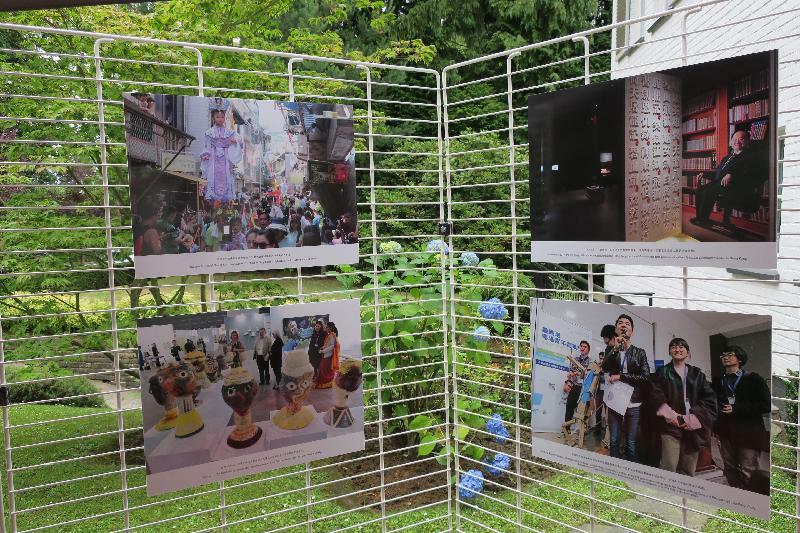 In Brussels, the reception was co-organised by HKETO, Brussels and the Belgium-Hong Kong Society with the support of the Mission of the People's Republic of China to the European Union (Chinese Mission to the EU). 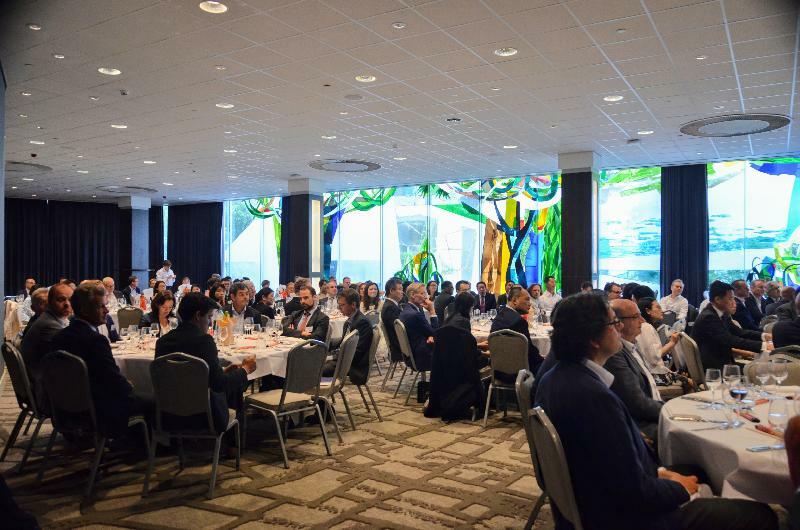 It was attended by representatives of the international diplomatic corps, including the Head of the Chinese Mission to the EU, Ms Yang Yangyi, and the Chinese Ambassador to Belgium, Mr Qu Xing, as well as representatives from the Belgian authorities, the European Commission, the European Parliament, chambers of commerce, education institutions and the media, plus members of the Hong Kong community living in Belgium. 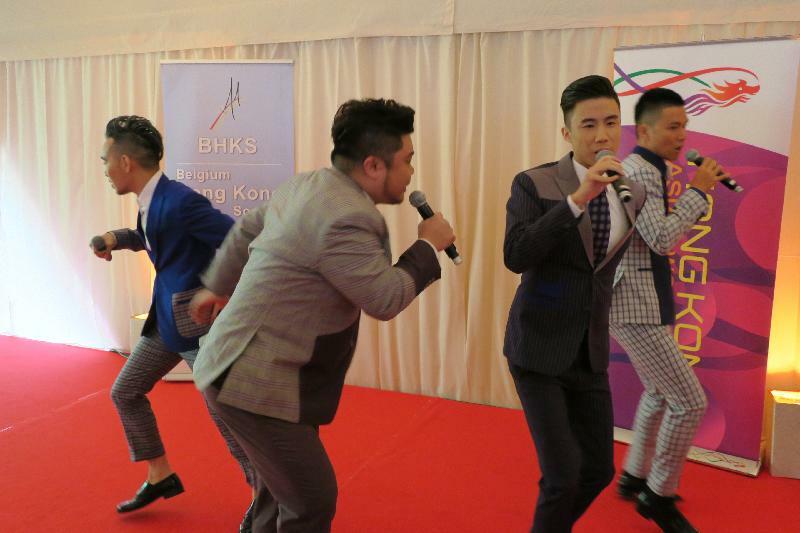 At both events, the talented Yat Po Singers, the first professional a cappella choral theatre company in Hong Kong focusing on developing original theatrical works, gave warmly applauded performances with a programme that variously included the theme song of the 20th Anniversary celebrations namely "Hong Kong Our Home", "The Crescent Moon Rises", "Nan Ni Wan Resort", "Horse Race", "Man in the mirror" and "Swan Lake". 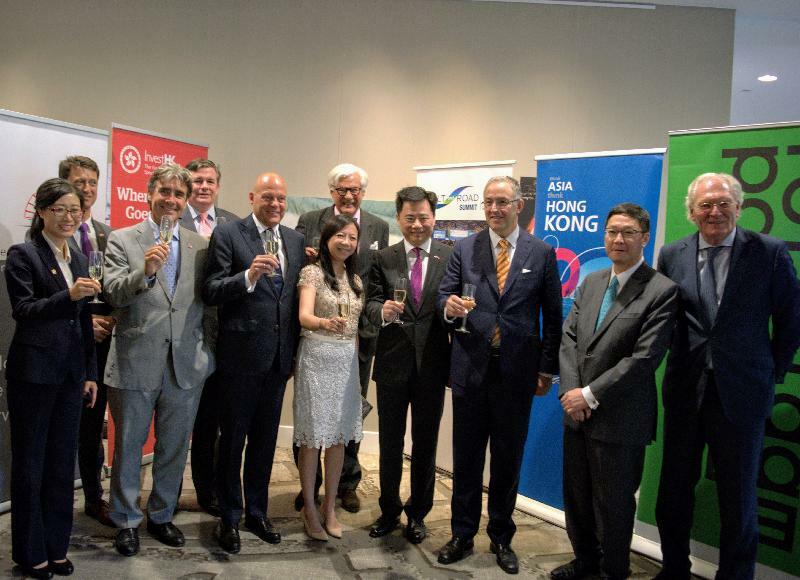 In Rotterdam, a business seminar on the theme "Rotterdam and Hong Kong make One Belt, One Road Work for You" was co-organised by the Netherlands Hong Kong Business Association, HKETO, Brussels, Invest Hong Kong (InvestHK), the Hong Kong Trade Development Council, and the City and Port of Rotterdam. 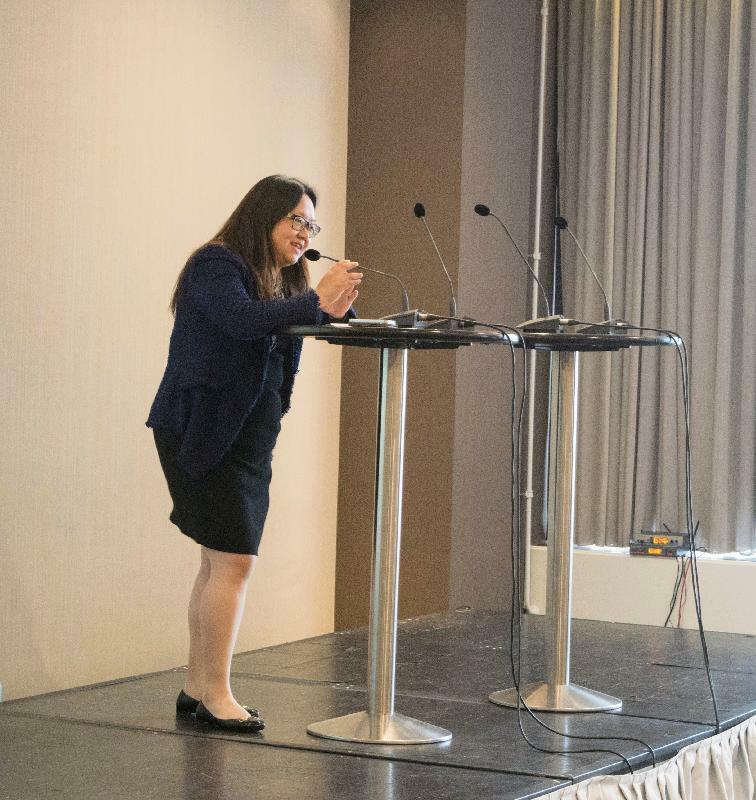 In her welcoming remarks, Deputy Representative of HKETO, Brussels, Miss Alice Choi, encouraged Dutch companies to make use of Hong Kong's advantages to tap Belt and Road opportunities. "You will hear today why Hong Kong, with its vast experience, expertise and connections in financial, professional and business services has what the Belt and Road needs to play a critical role in its progress." Miss Choi noted that the Port of Rotterdam, as the premier destination in Europe for Chinese cargo arriving by sea, and the Chengdu-Tilburg-Rotterdam-Express, the first rail shuttle between China and the Netherlands launched in June 2016, already made the city part of the new Silk Road Economic Belt and 21st-century Maritime Silk Road. The Head of Consumer Products at InvestHK, Miss Angelica Leung spoke about "Sourcing operations in Hong Kong" in the panel discussion on "Growing your company using the new Silk Road". 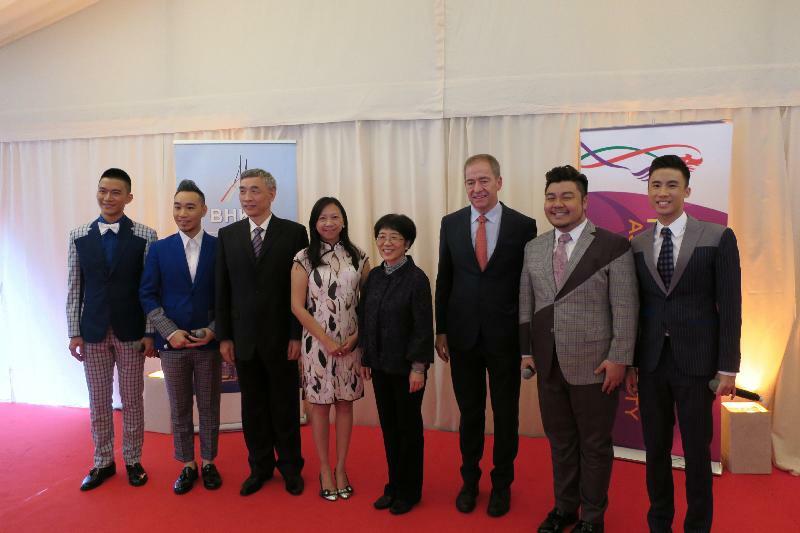 The seminar was followed by a HKSAR 20th Anniversary Dinner with Mayor of Rotterdam, Mr Ahmed Aboutaleb, and Chinese Ambassador to the Netherlands, Mr Wu Ken as the guests of honour. During the week of 20th anniversary celebrations, HKETO, Brussels in co-operation with the City of Brussels and folklore organisation the Order of the Friends of Manneken-Pis also arranged for the city's favourite son, iconic fountain-statue Manneken-Pis, to be dressed in a Hong Kong costume on June 30 (Brussels time). This was the third time the famous little boy had worn the costume, which HKETO, Brussels donated to the City in 2012. The Yat Po Singers performed to an eager crowd of guests, tourists and passers-by at the unveiling ceremony on a street corner near the Grand-Place, Brussels' famous central square.